Beechfield House is located in the quaint village of Castleconnell, River Shannon, and near the N7 Dublin to Limerick road - just 10 mins. from Limerick City and 20 mins. 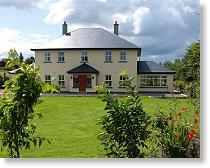 from Shannon Airport - an ideal touring base for angling holidays in the Castleconnell Shannon River Lough Derg area.